TGIF, Sporties! 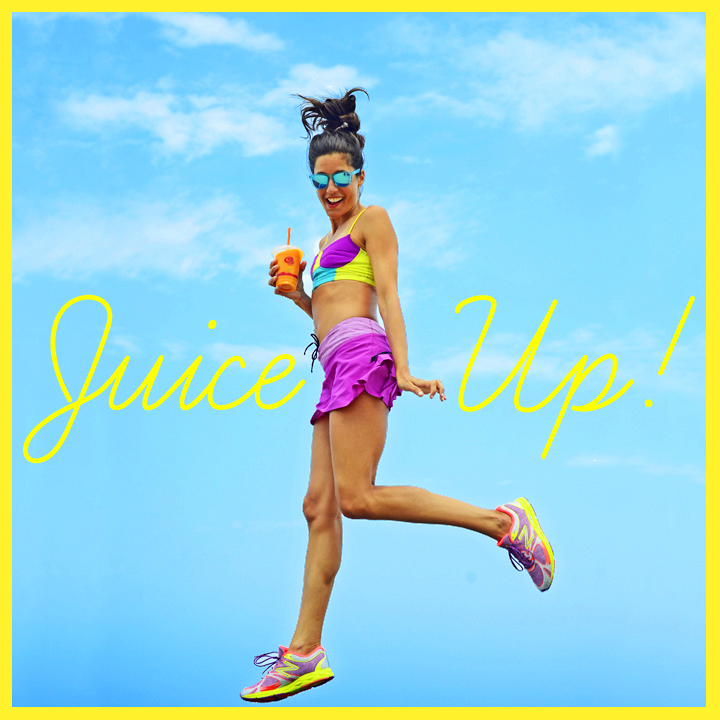 It’s time to juice-up and get your energy on for the weekend! I recently partnered with Jamba Juice to test out some of their new, fresh squeezed juice drinks and boy are they delish! All-natural and super refreshing in options like berry, citrus, carrot, and kale, they’re the perfect pick-me-up after (or before) all my outdoor weekend activities! Surfing, running, acro-yoga on the beach, you name it … I was recharged and ready to take on my next workout. 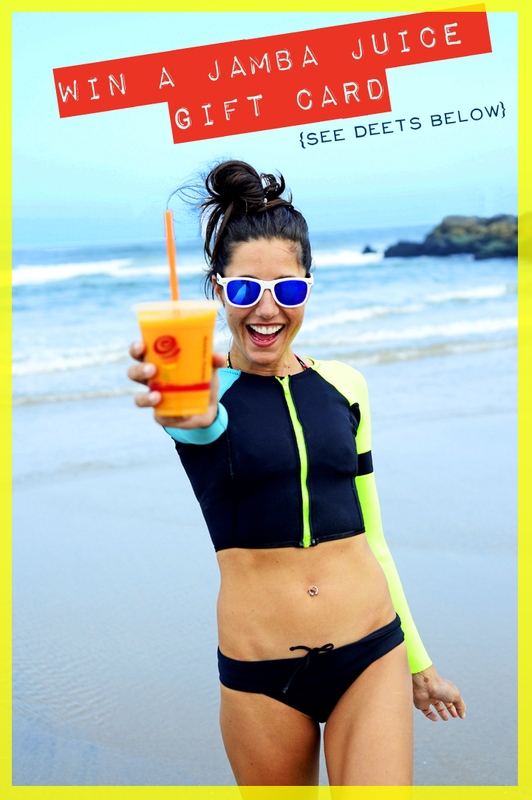 And, it’s your lucky day ’cause I’m giving away a Jamba Juice gift card so you can test them out too! Just follow the simple deets below to enter! 1. Leave a comment on this post so we know where to find ya on Insta & twitter! 3. Follow NYCPretty on Instagram and “LIKE” & COMMENT on my #JuiceByJamba #healthy #giveaway pic so we know that you entered! A winner will be chosen Sunday night, August 3rd. Love this pic, so colorful! Congrats! 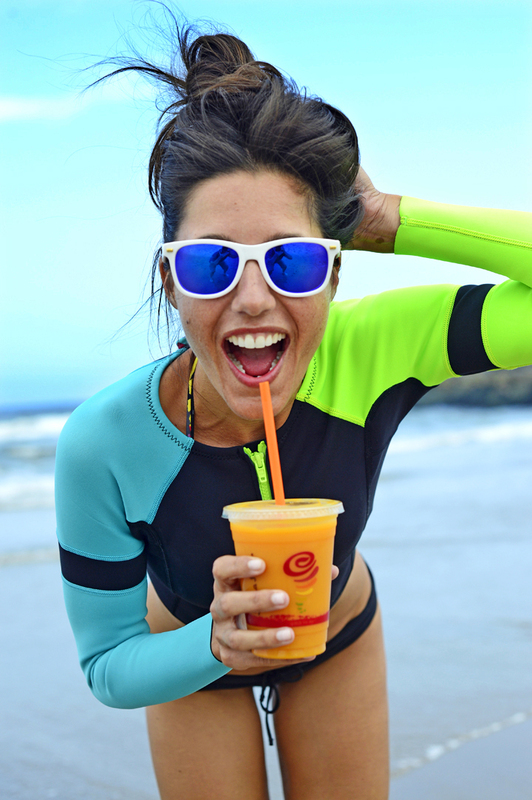 You wont the Jamba Juice Giveaway! Emailing you deets now! PS. I have send you an email, check this out please. You can definitely find me right here! You always have some cool pics. Sea to Sweat Workout Gear! Cool Compression Gear! Train Smarter! Next > Fashion Sweat This!